Acrylic & Watercolor. 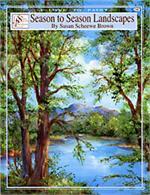 Brand New, by Susan from her "I Love to Paint Series" is a book filled with timeless beautiful landscapes. 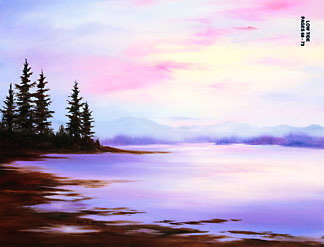 Explore and expand your knowledge of both acrylic and watercolor techniques in creating these landscapes. 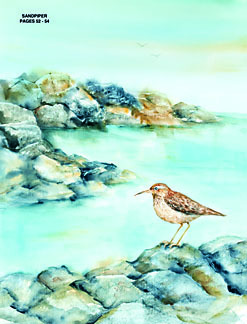 The soft elegant colors of Low Tide is calmly relaxing in daybreak colors of so pinks, violets, plums and hints of sun. 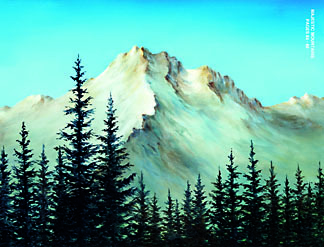 Majestic Mountain is a gorgeous painting, blue sky, sun lit mountain, silhouetted trees in the foreground. An east coast barn, with stone foundation and silo nestles in the winter snow as a golden glow washes the horizon. 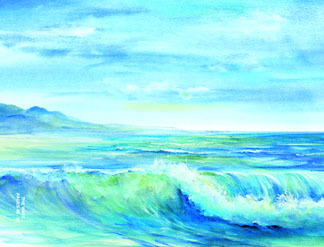 Wave, blues and greens are the colors for this tranquil wave gently breaking against the shore. A silver sided barn in a winter snow, washed with hints of peach and violet sits quietly against a fir tree background. 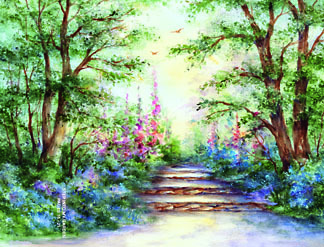 A flower sprinkled path leads you into this uplifting garden scene. 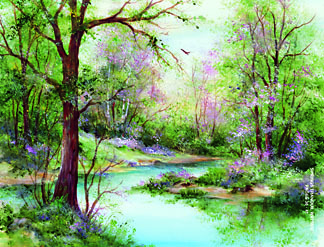 Spring flowers dot the landscape in two elegant paintings, one leading you along a treed walk, the other soft trees and gentle pinks surround a reflective stream. White birch trees against an evening snow sprinkled sky, a distant barn make this a timeless rural scene. 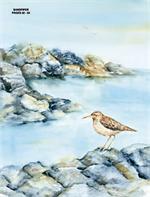 A painterly shore side scene with rocks and a sandpiper is beautifully painted in washes of color. There are more paintings to inspire you to paint, a book you will love. 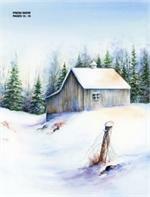 How to paint, step by step instructions with photographs.